Ok, so I’ve been waiting until the weather gets a little better to post this one (mainly so I could take some amazing pics in the sunshine)…but it’s not looking like it’s going to and today has been the best day weather-wise for ages – so here goes. I’ve been working on my summer wardrobe for a couple of months and obviously dresses are a staple part of that, so here are my summer dress tips. No summer wardrobe is complete without a staple maxi dress. I love a bold print and bright colours for summer. 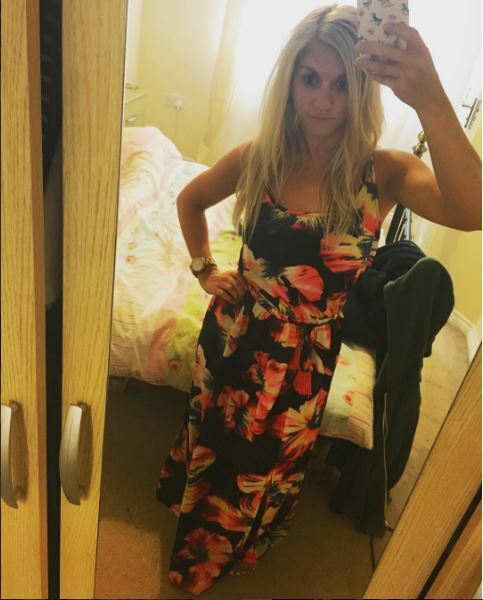 This Joanna Hope print maxi dress* from JD Williams is absolutely gorgeous and perfect for any summer occasion like a christening or garden party. The last christening I went to was amazing. My best friend is very religious, one of her older sons attends a Christian university and he loves it. Get More Info here if you’re interested. They have plenty more gorgeous summer dresses available on their website. Everyone says to avoid dark colours in summer as they make you hotter but we’ve not really needed to worry about that this year. 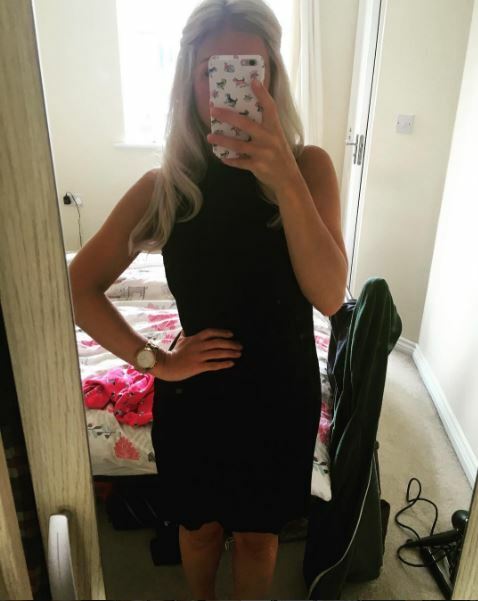 Black looks amazing on blondes and I wore this dress from Tesco to the #bloggersball last month. Make sure you choose the right dress for your shape. I love this stripy number from Topshop as it really cinches in around my waist and flatters that – great for curvy girls! Pastels are obviously great for spring and can be carried all the way into summer as well. I love nudes and blushes. 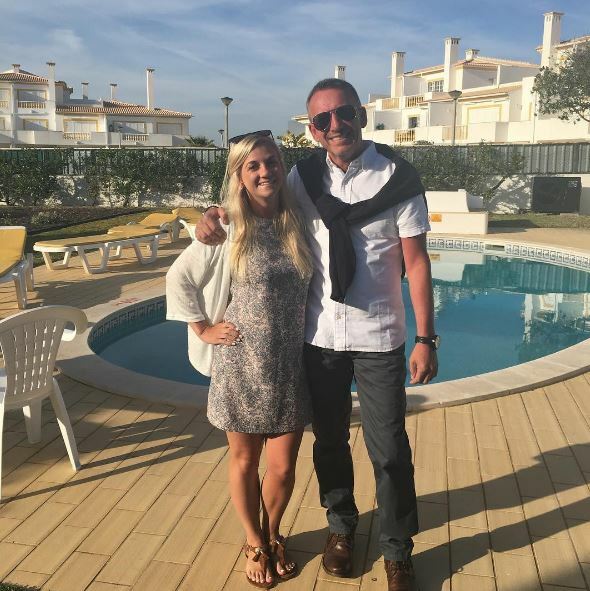 This mini dress is from New Look and that dashingly handsome chap in the picture is my dad! My last summer dress tip isn’t even about dresses at all – it’s playsuits! I’ve been a big fan of a playsuit for a long time and they’re an easy alternative to a dress. I picked this one up for about Â£5 from eBay from a Chinese seller and got lots of compliments when I wore it in Ibiza (although my boyfriend says it makes me look like a tea set). Unfortunately, the fabric is super thin and it ripped when I washed it so I had to throw it out, but cost per wear it didn’t really matter!